Calling all WA not-for-profit organisations, apply now to be eligible for a 2019 Impact100 WA grant. Minderoo Director and Impact100 WA Patron, Nicola Forrest, with winners and finalists of the 2018 grant round. Photo by Bill Bewley Shaylor. Minderoo Foundation partner Impact100 WA believes it shouldn’t only be the super-wealthy who explore meaningful philanthropic ventures. Impact100 WA is changing the landscape of global philanthropy by helping a broader range of people experience the satisfaction of giving back to their community. Impact100 is a collective giving model that brings together at least 100 people to donate a minimum of $1,000. In groups, the donors collectively choose a charitable project from a raft of applications and their contributions are then pooled to deliver a large-impact grant to this cause. For example, in 2018 two $100,000 primary grants and three minor grants of $10,000 were awarded by Impact100 WA. Applications are now open for not-for-profit organisations to register to be considered as recipients for the grants. Applications are considered from a range of sectors, including arts and culture, education, environment, health and wellness and family and community. Priority is given to projects that will make a significant and measurable difference to an under-served cause or population, target a specific need and deliver widespread benefit. Impact100 WA members can achieve far more collectively than they could with a single donation. Members assess the proposals and attend charity site visits to develop a greater knowledge of their community and its needs, as well as how to make an effective difference. One of last year’s $100,000 primary grant winners was Dandjoo Darbalung, which provides survival starter kits to 100 first-year Indigenous university students. The kit includes the essentials needed for a successful transition to university, including a laptop, computer software, headphones, toiletries, linen, course books and stationery. These essentials improve students’ confidence and help them cope with the challenges of entering a new environment. Impact100 WA launched in 2012 and was the first international chapter of the American concept. It has already distributed more than $1 million in grants to West Australian organisations. There are now eight groups around Australia and more than 50 globally. Donations to Impact100 WA are fully tax-deductible and the entire $1,000 donation goes directly toward grant recipients. Applications are open until 12pm on 17th May 2019. More information about the grants and becoming an Impact100 WA member can be found here. Sarah has been with the Minderoo Foundation since 2013, working across its philanthropic initiatives. 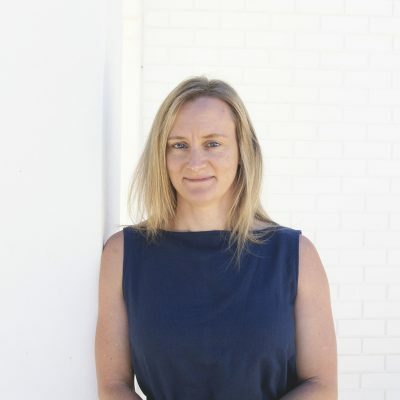 Her focus is on Minderoo’s external partnerships, but she also works across organisational compliance, philanthropy and strategic development. Sarah has 15 years’ experience in the not-for-profit sector, and holds a Bachelor of Science from UWA and Masters of International Development from Melbourne University.